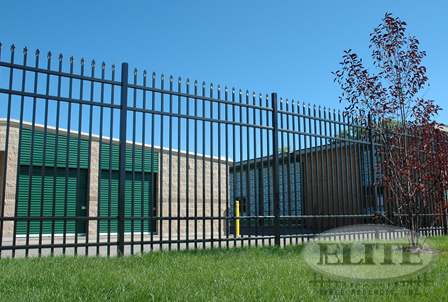 Our Elite heavy industrial grade aluminum fencing is constructed of 1-5/8"x 1-5/8" rails with an enclosed bottom and has no exposed screws, 1"x 1" pickets, and uses 3"x 3" or 4"x 4" post. 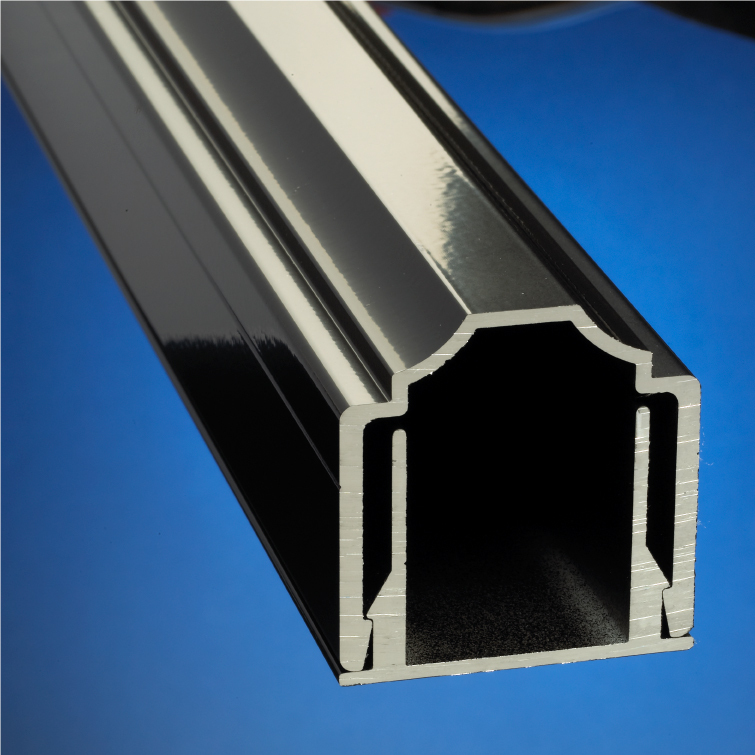 The heavy industrial grade aluminum fences are available in six standard styles. 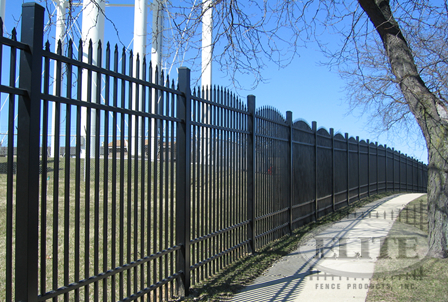 Elite heavy industrial grade fencing is available in either Black or Quaker Bronze. 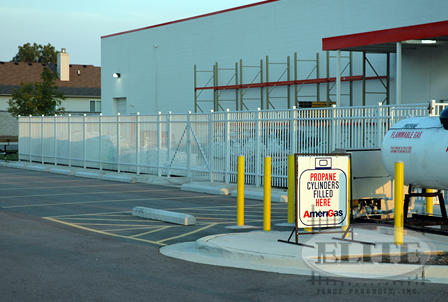 The heavy industrial grade fences are available in heights of 4’, 5’, 6’, 7’, 8’, and 10’. 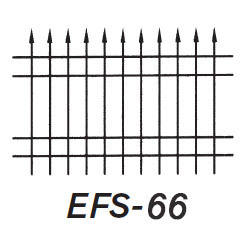 We offer matching gates in single entry and double drive to match the six standard styles of fence. 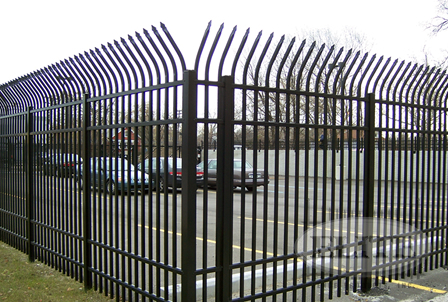 We also offer Estate and Curved Top gates in industrial grade fence to suit your needs. All gates include standard latch and hinges, self-closing and self-latching gate hardware are available upon request. If it is a cantilever gate you are after then look no further than one of our exclusive ZipTrack® aluminum cantilever gates. Screws: 410 Stainless Steel corrosion resistant. The heads are coated with zinc and yellow chromate, then painted to match the color of the fence. Panels: Fully assembled 6 feet in length plus or minus one inch. ** Not available in Walnut Brown.